Khooni Darwaza means ‘bloodied gateway’. Built by Sher Shah Suri in 1540 it is in the in the middle of the four-lane Bahadurshah Zafar Marg connecting New and Old Delhi. The Khooni Darwaza earned its name after the three princes of the Mughal dynasty (Bahadur Shah Zafar's sons Mirza Mughal and Khizr Sultan, and grandson Mirza Abu Bakr) were shot by William Hodson on September 22, 1857 during the Indian Rebellion of 1857. Aurangzeb (Shah Jahan's son) defeated his elder brother Dara Shikoh in the struggle for the throne and had his head displayed at the gate. The gate is supposed to have seen bloodshed in 1739 when Delhi was ransacked by Nadir Shah of Persia. 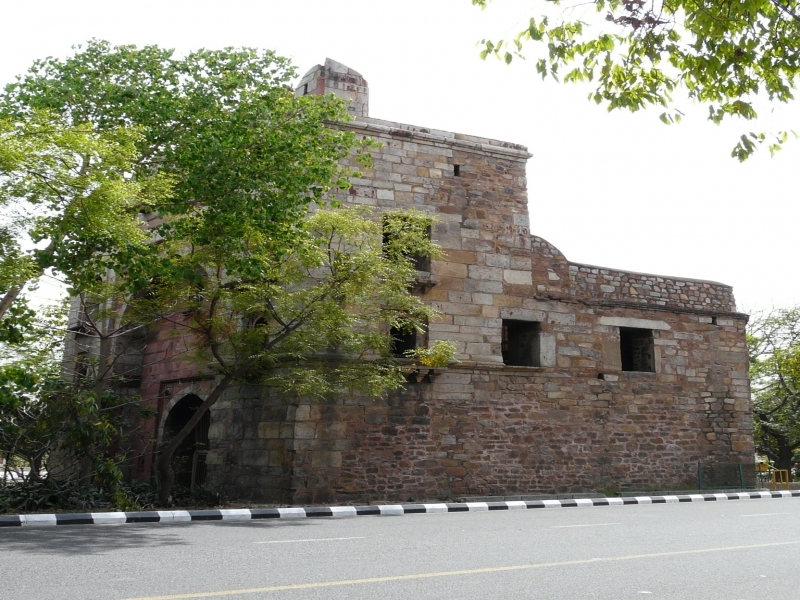 During the riots of 1947, more bloodshed occurred near the gate when several refugees going to the camp established in Purana Qila were killed here. Khooni Darwaza is today a protected monument under the aegis of the Archaeological Survey of India. Been to Khooni Darwaza ? Share your experiences!